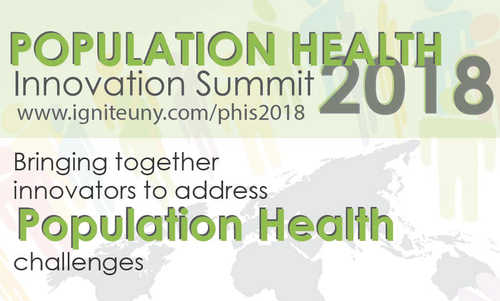 Population Health Innovation Summit 2018 took place on June 6, 2018, in Albany. The event united local government leaders, health industry experts, and frontline implementers to showcase promising innovations that are being piloted in our communities to improve the health and well-being of New Yorkers. For more information on the day, visit the event page here. The Population Health Innovation Summit took place on March 27, 2017 in Albany, NY. This leadership forum and entrepreneurial showcase was a day full of engaging speakers, knowledge and idea-sharing, and networking opportunities with local leaders working to realize the potential of health technology and population health data to streamline, target and coordinate the efficient delivery of vital health care and wellness services. For more information on the day, visit the event page here.